Depending on the type of claims you file, you could have separate PINs and/or Group IDs for each provider for different insurance carriers. The PINs tab provides a PIN matrix where you can store these additional PINs and Group IDs. This matrix is also available in the Insurance Carrier window, PINs tab. You can enter information through either window. If you send electronic claims, you are also required to enter qualifiers to the PINs and Group IDs, if applicable. These qualifier codes indicate the PIN or Group ID type. NOTE: If you converted data from Medisoft 10 or previous, the qualifiers may have been converted as well. Verify that the qualifiers are correct for each PIN and/or Group ID. See Converted EDI Fields for the PIN Matrix. For a list of valid qualifiers, click here. Refer to the implementation guide for your insurance carrier if you are not sure which qualifier to use. 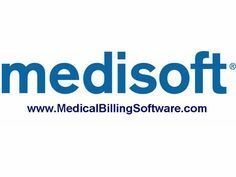 This is not provided by Medisoft practice management software, but by your carrier.